Founded in 1968, Don Peppe is an iconic restaurant located in South Ozone Park, NY. Don Peppe serves family-style Italian food in a no frills, straight to the point style. There are no substitutions, no olive oil to dip your bread in and as our waiter informed us, definitely no dipping your bread in a bowl of sauce. Some might be turned off by such a strict atmosphere but I felt that it added to its charm and gave it an authentic feel. Don Peppe does not take reservations, so if you don’t want to wait, go early. We choose to dine at Don Peppe’s to celebrate my father’s retirement. As a party of 12, I called before coming to make sure they would be able to accommodate us. They recommended coming early, so we decided to arrive at 5pm. When we walked in, almost every table was taken, and when we walked out, there was a line out the door! Once we were seated, we waited for the waiter to bring us menus. Rookie mistake #1! There are no individual menus at Don Peppe, just a big menu board on the back wall of the restaurant. In addition to no individual food menus, there is no wine list. Don Peppe makes their own wine – either white or red - nice and simple! 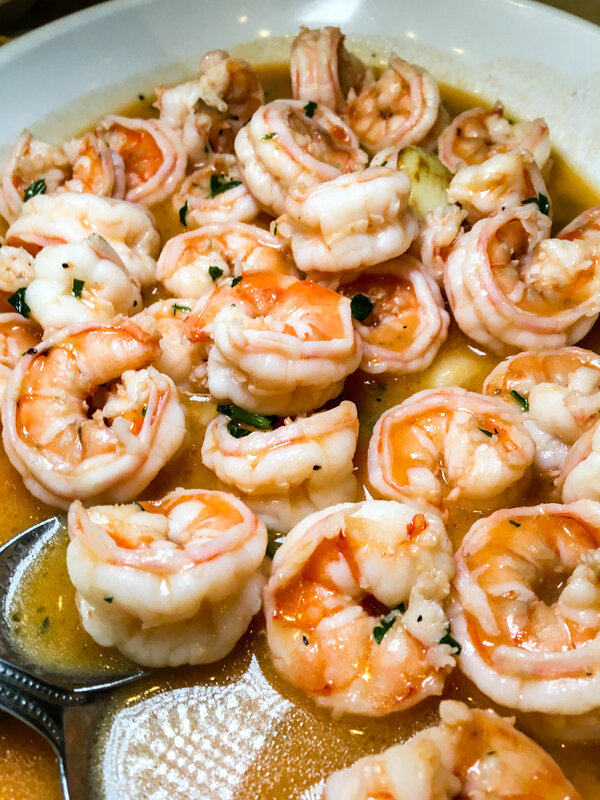 The menu consists of basic Italian specialties like Mozzarella & Tomato, Baked Clams, Pasta in Meat Sauce, and then Don Peppe’s own twist on dishes like Shrimp Luciano and Veal Don Peppe. The portion sizes are quite large, so if you don’t want a ton of leftovers, going out with a large group is the way to go. As a group of 12, (less the 4 children who ate penne pasta), we ordered a number of dishes to get a real feel for what Don Peppe’s was all about. All of the dishes we tried were delicious and well seasoned. The Veal Don Peppe and Shrimp Luciano were the overall favorites by the table. The Veal was breaded perfectly and the tomatoes added a nice accidity. The Shrimp had a lovely lemon flavor and was very light and clean. 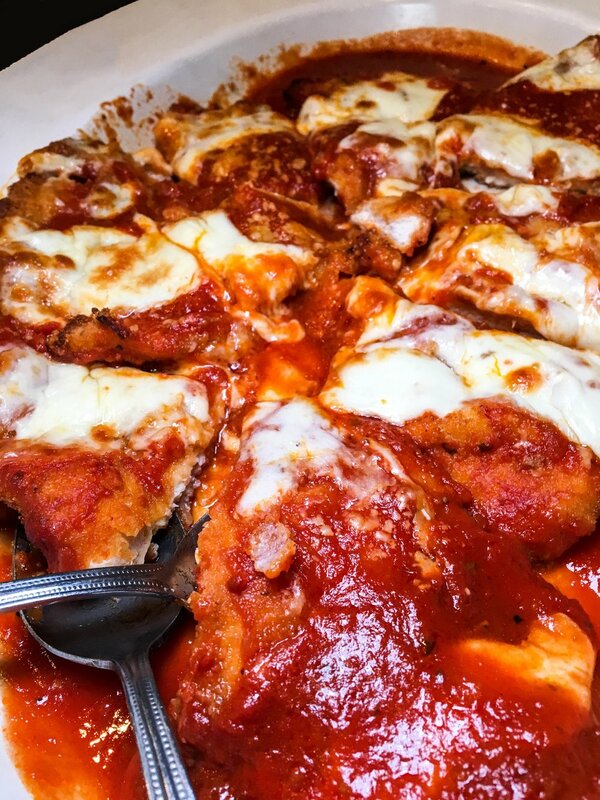 Don Peppe has been an institution for almost 50 years for good reason. The old school charm and wonderful dishes combine to create an authentic one of a kind restaurant.